Rupert-3 bed, 2 bath, 2 story farmhouse with private 1.6 acre country setting. 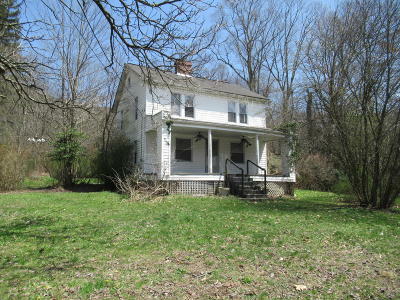 Has large unfinished attic space, full unfinished basement, newer electric forced air furnace and covered front porch. Hardwood floors, large living room with fireplace. Great yard area for kids and animals.Home sits high dry overlooking the Meadow River. Public water will be available in the near future. Home needs some TLC. Priced for a quick sale.